Welcome to the fantastic 1980s universe of Gunstorm II: Starvixen! Your sister, the beautiful princess Semele has been kidnapped by Kernag the Smeeb on the eve of her wedding to prince Caligulus. You have sworn to rescue her in your Gunstorm, the last fighter craft of the old league. New, plot-based action takes you to five different worlds to track down Semele, from the caves of Marrowmar to the The Deadly Asteroid Field of Rodix Draconium. Play more to unlock the arcade sub-games which include the classic Gunstorm game, but with the all new Gunstorm II weapons. Eight wonderful weapons: Cannon, Laser, Trident, Protonites, Ion Rifle, Flamer, Nova Rockets, and the Phoenix, plus the classic Spider Bombs. You can carry all at once Doom style, and the balanced combat means that you get more ammo the more you shoot. Plus enjoy the fantastic Gunstorm soundtrack sung by Tor James Faulkner. Gunstorm II represents my last original game release to date, although many of my past games have been regularly updated to work on modern computers. This was also my first game to feature a theme song, and the 6-track Gunstorm E.P. was subsequently published by Cornutopia Music. It remains on sale on Amazon, iTunes, and other music distributors. Game du Jour (Review Extract): "The action starts slowly but things get busy quickly. 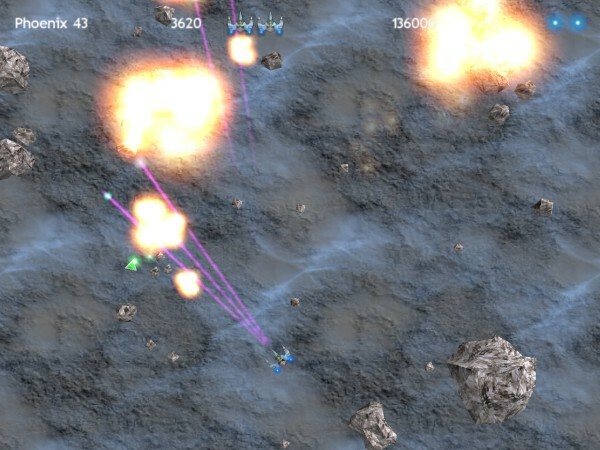 Gunstorm II's cool graphics are accompanied by an excellent soundtrack." Gunstorm II was last updated in 2008. You can buy Gunstorm II using the Digital River link below, but please download and try the demo version first to ensure that it will work on your computer.